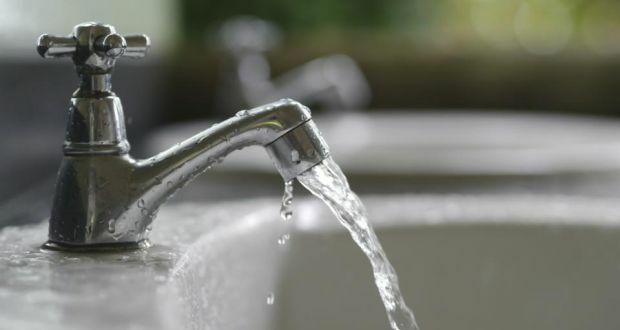 Over 2,000 people living in older housing estates on the north side of Limerick city have been advised by the Health Service Executive (HSE) not to drink their water or use it for for preparing food, following the detection of elevated lead levels. Irish Water was aware of elevated levels of lead in water in parts of Limerick city five days before residents were advised it was not safe to drink. Over 2,000 people living in older housing estates on the north side of Limerick city have been advised by the Health Service Executive (HSE) not to drink their water or use it for preparing food, following the detection of elevated lead levels. Pregnant women and young children in particular are urged not to drink water suspected of elevated lead concentrations, as it can affect the development of a child’s brain. Irish Water says it is working to replace all lead pipes in the affected areas by the end of the year. Last Tuesday, 356 households in Kileely were issued with notices advising them that their houses could be affected by similar lead issues affecting hundreds of homes in nearby Ballynanty. Testing at a number of Ballynanty houses showed lead levels above the current statutory limit. On July 31st last 400 households in Ballynanty were issued with the advice that “in the absence of a a specific quality test at your house, it is the prudent course of action to assume that your house may be affected by an elevated level of lead in the drinking water”. Irish Water’s regional operations manager Katherine Walshe, today confirmed that a meeting was held with the HSE on Friday August 15th to discuss concerns over a similar issue in Kileely. However notices advising people not to drink the water in the affected parts of Kileely were not distributed until Tuesday afternoon. The letters dated August 19th also included a seven page information document from the HSE National Drinking Water Group. The HSE document dated April 2nd 2014 includes detailed answers to a number of frequently asked questions about the dangers posed by lead in drinking water. When asked about the delay by Irish Water in sending out the HSE advise not to drink water in situations where elevated lead levels are detected, the health authority said it is not responsible for communicating any advice about the national public water supply. “Communication and dissemination of any issues or advice/information with regards to the national public water supply is a matter for Irish Water,” read the statement. Speaking on Limerick’s Live 95FM radio MS Walshe defended the length of time it took Irish Water to inform residents in Kileely insisting the operator had acted in a “timely fashion”.